Interesting retail concept at Nomadx but near-term contribution is unlikely to be material. 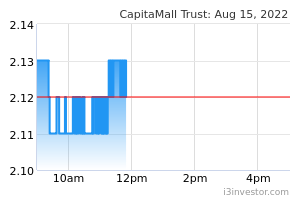 CapitaLand Mall Trust's share price appreciated by ~9% over the past 2 months. The stock is currently trading at close to +1 s.d. 12-month forward dividend yield of 5.2%. We believe that the market has factored in the strong DPU growth in FY19- 20F. Downgrade CAPITALAND MALL TRUST (SGX:C38U) to Hold with an unchanged DDM-based Target Price. We visited Nomadx, Singapore’s first “phygital” multi-label concept store at Plaza Singapura recently. We found the smart technologies found at Nomadx and the products sold by the tenants that are still testing out the market in Singapore interesting. The platform essentially provides budding retailers the opportunity to trial new concepts and products at lower cost, while attracting shoppers at the same time. has more flexible and shorter-lease term which also enables CapitaLand to refresh its tenant mix more frequently. Portrayed as a digital retail space, Nomadx is also equipped with smart retail infrastructure which comes with data analytic capabilities. This, we think, is a helpful feature for retailers who are trying to penetrate the market. On-boarding tablets, style mirrors, interactive TV, cashless payments, and water/light nodes that display information on products or brands are among the technologies found at Nomadx. While Nomadx serves as a testbed for small business owners, it is also CAPITALAND LIMITED (SGX:C31)'s trial platform for the experiential retail concept. By using smart retail technologies in the real market, CapitaLand is able to verify the effectiveness of the technologies. Tenants may also adopt the technologies for long-term use and enter into long-term lease with CapitaLand Mall Trust at its malls in the future. However, contribution in the near-term is unlikely to be material given that it only occupies ~2.3% of the total retail space of Plaza Singapura and Nomadx is still a trial concept. We expect CapitaLand Mall Trust to deliver strong DPU growth of 5.4-5.8% in FY19-20F, driven by the opening of Funan. 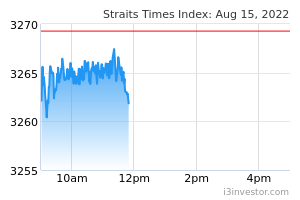 CapitaLand Mall Trust's share price has appreciated by ~9% in the past two months and the stock is currently trading at nearly +1 s.d. 12-month forward dividend yield of 5.2%. We believe that the market has priced in the potential strong DPU growth, hence we downgrade CapitaLand Mall Trust from Add to HOLD. Our current target price is based on a risk-free rate (Rf) assumption of 2.7%. Assuming an Rf of 2.5% and all else constant, our target price would be S$2.38 which is still a hold call. Upside risks include more accretive acquisitions, while downside risks include slower rental reversions.